Want Answers To How To Get Rid Of Lice, Pictures Of Nits & Other Lice Questions? The mere thought of these tiny critters crawling around a child’s scalp is enough to generate shudders of disgust. Judging from the drastic measures some parents take to get rid of them — from mayonnaise and vinegar to overdoses of potentially toxic chemicals — you’d think they were the worst scourge on earth.​​For a closer look, National Geographic’s Richard Ambrose and Jonny Phillips use a camera with 200x magnification to probe human hair and reveal an unwelcome inhabitant — head lice (pediculosis capitis). In the United States, head lice infestation is common among children 3 to 12 years and the adults who care for them. 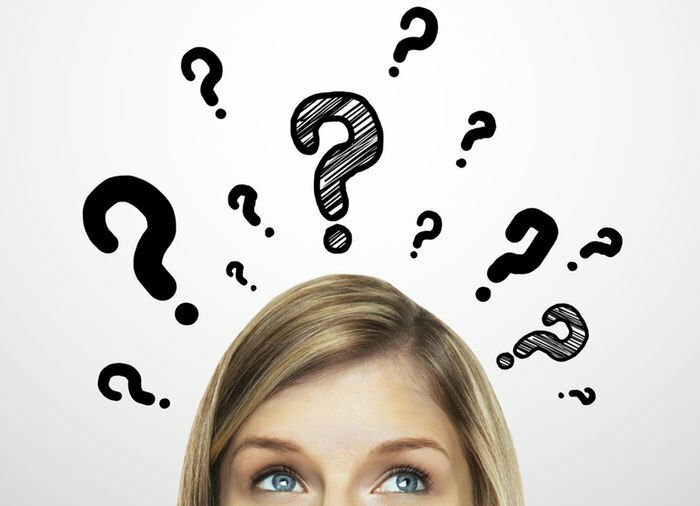 Question: Do Head lice jump from head to head? Answer: Head lice have no hind legs and are not able to jump. Transmission takes place when lice crawl from one warm human scalp to another during direct head-to-head contact. Question: Is itching is a sign of head lice? Answer:Most children rarely itch when head lice are present. When feeding on human blood, the lice employ a similar approach to a mosquito, by injecting an anesthetic, an anticoagulant and saliva. 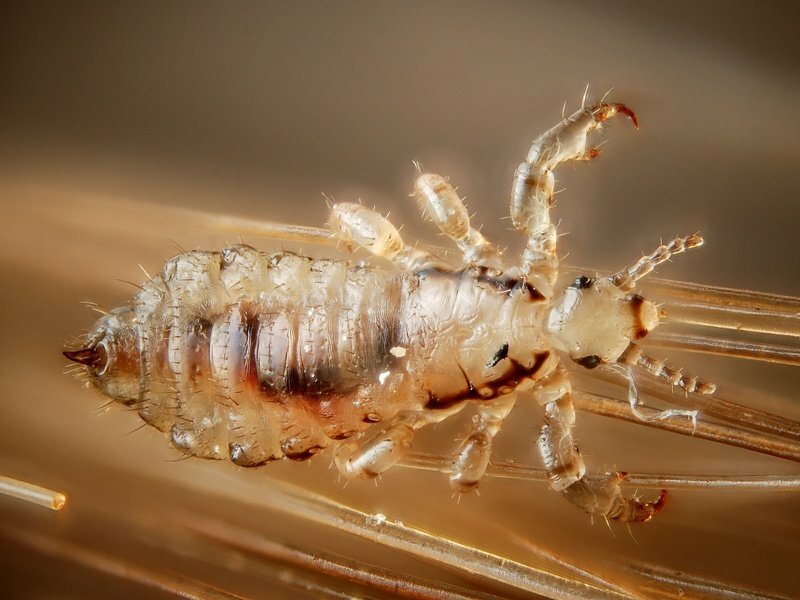 After two to three months of lice exposure, some children develop an allergic skin reaction to these substances and experience itching, a rash on the back of the neck, or both. Question: What are the lice policies at schools and are they uniform and effective? Answer:School lice policies differ widely, from no policy at all to no-nit policies to requiring pesticide treatments. No-nit policies are difficult to enforce, and do not prevent the spread of lice in children. In fact, the CDC reports that both the American Association of Pediatrics and the National Association of School Nurses advocate the discontinuation of no-nit policies. Question: Do pesticide-based lice shampoos effectively treat lice and nits? Answer:A 2003 study revealed that head lice have developed resistance to the most commonly used pesticide in these shampoos, rendering them ineffective. The nits also remain viable after the use of pesticide shampoos, many of which contain neurotoxins. Question: Are non-toxic treatments, such as combing and olive oil soaks effective? Answer:Effective head lice treatment involves the laborious removal of the lice and eggs using a nit comb. Olive oil effectively kills lice and eggs by starving them of oxygen. Unless every last lice egg is removed from the hair, the head lice colony will begin again. Combing the hair with olive oil or conditioner and a good metal nit comb is an effective, pesticide-free way to eradicate a head lice colony. Question: Are people with head lice dirty? Answer:Head lice thrive in clean hair and spotless homes. This erroneous stigma comes from confusing head lice with body lice, which did thrive in squalid conditions. In today’s American homes with indoor plumbing, body lice are nonexistent. Managing lice in families and communities requires accurate information and effective tools. Debunking the stigma of head lice is an important part of the process of keeping pesticides off kids and out of the environment. Question: Does using Nix, Rid, Sklice or other OTC prescription products effectively treat and remove lice and their eggs? Answer: Head Lice have developed resistance to the pesticides in “lice shampoos” like Nix, Rid, Splice, etc so we cannot rely on them anymore. 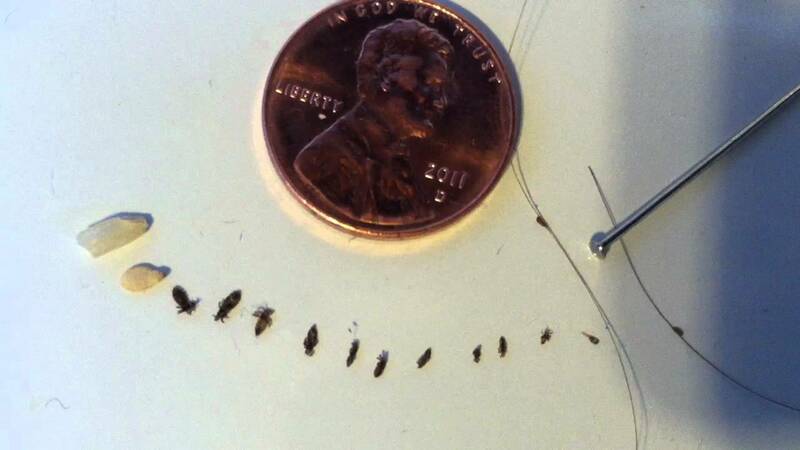 Not only do over-the-counter and prescription-strength chemical treatments contain levels of pesticides harmful to humans, they are not effective at eradicating lice. Many families have already tried those pesticide-based products before they call me, and were horrified to have found out they did not work as advertised. Question: What’s the difference between lice and nits? Answer: Head lice are the actual insects. 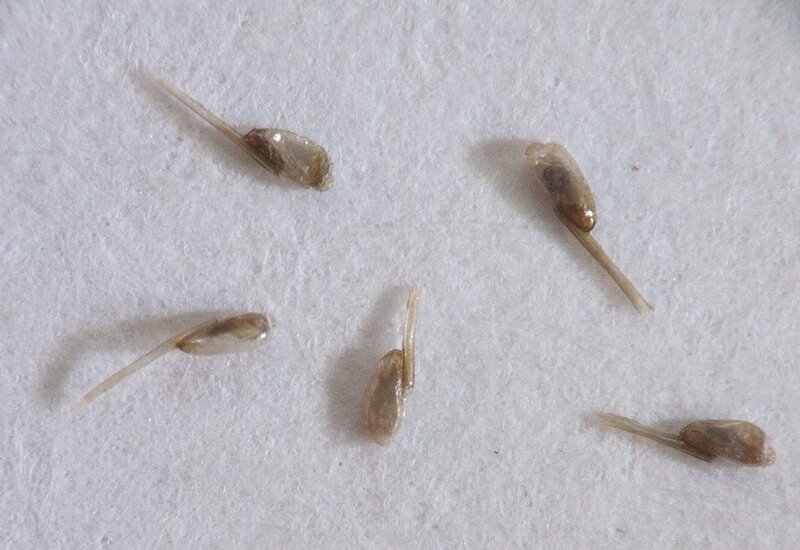 Nits, or lice eggs, are the sesame seed sized egg pods that lice lay on the hair shaft. 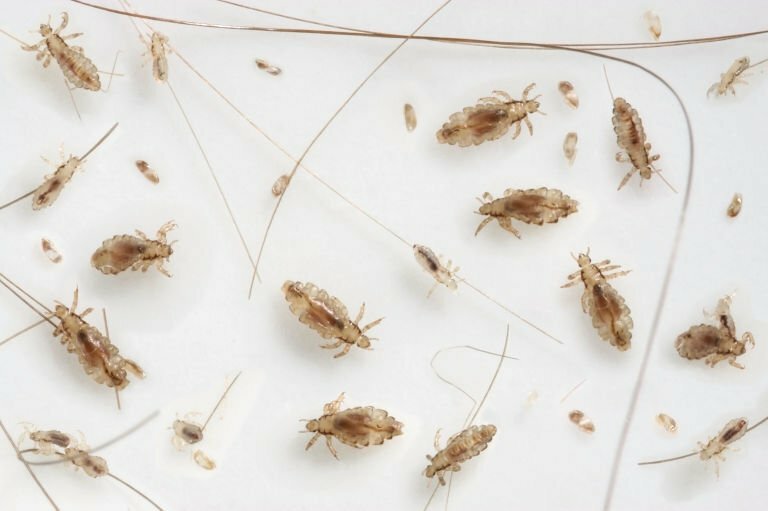 A single female louse lives 30 days and lays 100 nits. It takes a week for a nit to hatch. It takes another week for the newly hatched insect to become an adult that can lay its own eggs. Question:Can our family dog get lice? Answer: No, your family dog cannot get lice. Head Lice only live on human scalps. Head Lice are what is known as an “obligate” parasite. An obligate parasite is specific to one host, and one environment on that host, and cannot avail itself of other hosts. Dogs, cats and other household pets have their own obligate parasites such as fleas, ear mites, heartworm, etc. We humans have 3 species of lice that are specific to humans. Head Lice, Body Lice and Pubic Lice. 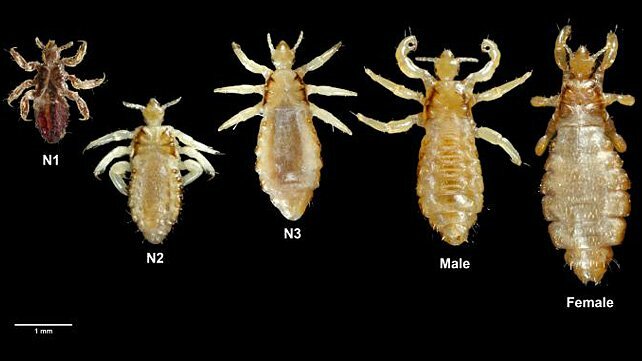 Each species of human lice is genetically distinct from one another. In other words head lice can not turn into body lice or pubic lice. 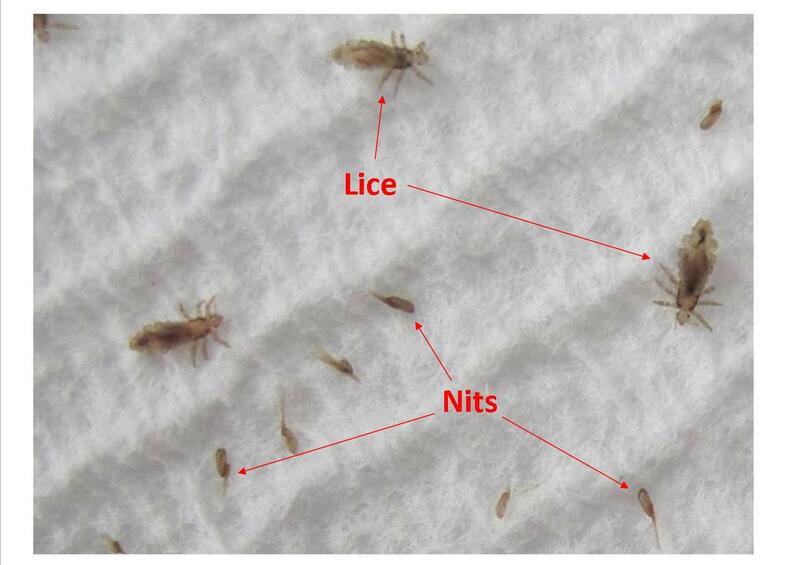 Question: What is the difference between lice and nits? Answer: Lice are a small brownish bug that some say resembles a lobster in it’s shape. Lice eggs are called nits and baby lice are called nymphs. Please refer to the following images. Have questions? We are here to answer all of your lice related questions. See what our clients are saying about us. It’s unanimous, they love the guru! Ready to finalize your booking? Great, let’s get rid of those pesky lice!